We have launched the Kickstarter reboot yesterday! We have launched the new Kickstarter just yesterday and hit 50% funding within 4 hours and over 80% funding by today. 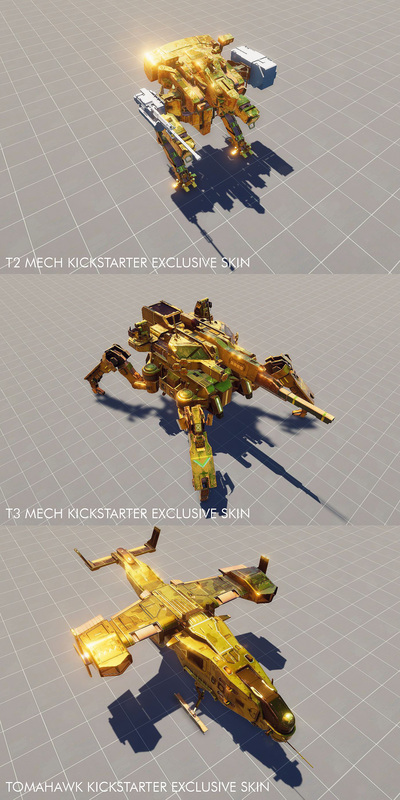 We have created some awesome new skins for the mechs which will be only available for our backers. We´ll keep you guys updated with another devblog soon! Feel free to join us for a Q&A and we´ll definately show off a lot of the new content.